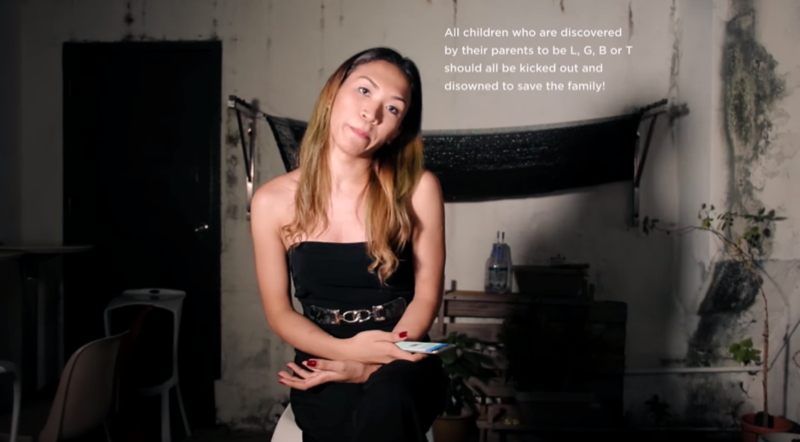 On 25 May, a week before the annual Pink Dot event, activist group Wake Up, Singapore uploaded a video where members of the LGBT community reacted to homophobic comments on the Internet. The featured respondents brought “out and proud” to a new level, shutting down each baffling comment with a mixture of snark and wit. Over 400 netizens shared it on Facebook, racking up an impressive 30,000 views in a week. 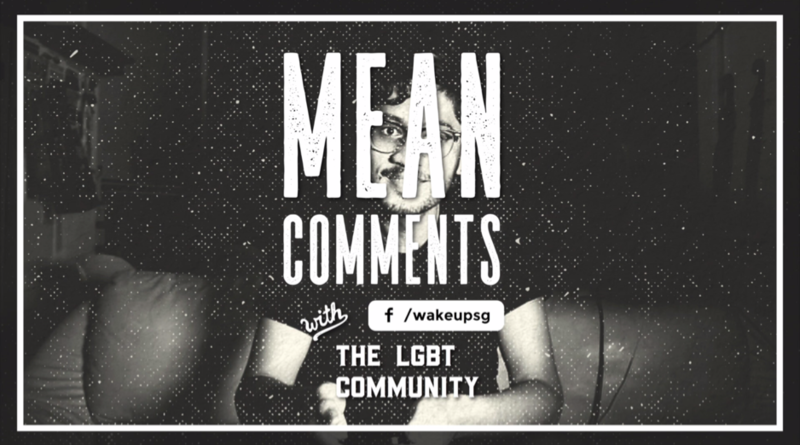 In heteronormative Singapore, there is a sore lack of representation of the LGBT community in local mainstream media. Which is exactly why candid portrayals like these are so important. Take 24-year-old Sherry for example. A transgender woman, she has been on the receiving end of her fair share of demeaning comments. Harsh, but it’s reality for the thousands of LGBT youth out there. Yet it’s an issue you’d never come across while trawling The Straits Times, Channel NewsAsia and the like. Judging from the raving success of this year’s Pink Dot event – with participant numbers overwhelming Hong Lim Park’s capacity – it’s safe to say that while the Internet does bring out the most vicious of folks, it also informs many others. 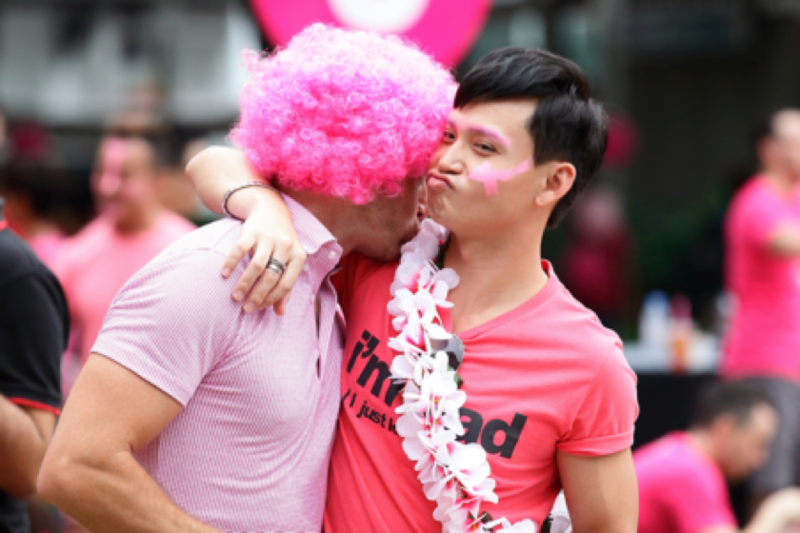 Powerhouses such as Twitter, Bloomberg, Goldman Sachs, Google, and Cathay Organisation have also pledged their support by being corporate sponsors, and Pink Dot has recognised their commitment to “helping to increase society’s understanding and social acceptance of LGBT people”. Regardless of whether or not you consider yourself an LGBT ally, one thing is clear – there’s something inherently beautiful about a bunch of strangers leaving supportive messages for each other. And it’s a sad thing, really, that it doesn’t happen often enough.